CHICAGO, 2015-4-16 — /Travel PR News/ — Hyatt Hotels Corporation (NYSE: H) announced today the official opening of Hyatt Regency Ahmedabad, the second Hyatt-branded property in Ahmedabad and the first Hyatt Regency-branded hotel to open in Gujarat state. 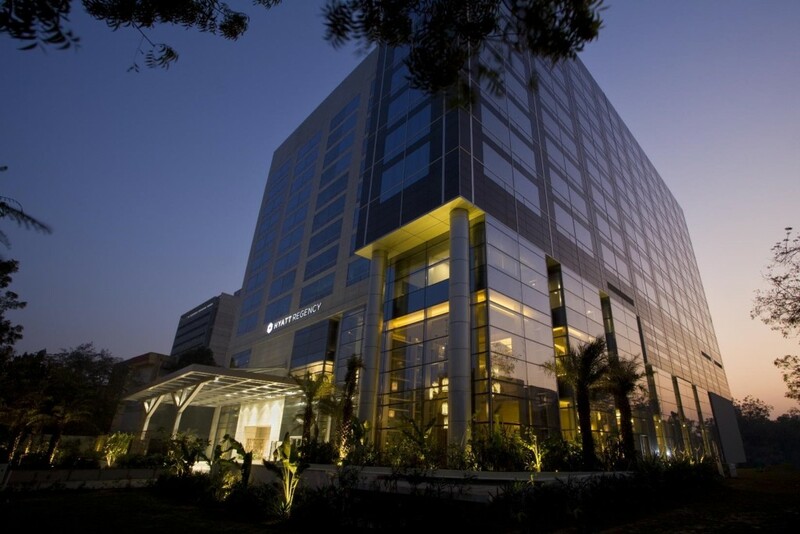 Guests can enjoy the Hyatt Regency brand’s ‘hotel within a hotel’ concept at Hyatt Regency Ahmedabad. Located on the 10th floor, the Regency Club is unique to the city and offers a stunning view of the Sabarmati riverfront and skyline. Guests staying in Club floor rooms can enjoy complimentary continental breakfast and evening hors d’oeuvres. Aadi Spa’s holistic approach toward health and fitness focuses on a balanced mind, body and soul. Guests’ health needs can be met at the hotel’s recreational facilities, which include a Fitness Center equipped with cardio and strength training. Aadi Spa features five treatment rooms, a relaxation lounge and dedicated male and female wet areas. The wellness and relaxation facilities also include a 65-foot lap pool and whirlpool nestled into a landscaped garden terrace and a beauty salon. Hyatt Hotels Corporation, headquartered in Chicago, is a leading global hospitality company with a proud heritage of making guests feel more than welcome. Thousands of members of the Hyatt family strive to make a difference in the lives of the guests they encounter every day by providing authentic hospitality. The Company’s subsidiaries develop, own, operate, manage, franchise, license or provide services to hotels, resorts, branded residences and vacation ownership properties, including under the Hyatt®, Park Hyatt®, Andaz®, Grand Hyatt®, Hyatt Centric™, Hyatt Regency®, Hyatt Place®, Hyatt House®, Hyatt Zilara™, Hyatt Ziva™, Hyatt Residences® andHyatt Residence Club® brand names and have locations on six continents. As of December 31, 2014, the Company’s worldwide portfolio consisted of 587 properties in 50 countries. For more information, please visit www.hyatt.com. This entry was posted in Hospitality, Hotels, Travel Management, Travel Services, Travelers and tagged Gopinath Gopalan, Hyatt Hotels Corporation, Hyatt Regency Ahmedabad India, Kurt Straub. Bookmark the permalink.